GfK and Commercial Radio Malaysia Releases the Second Wave of the Radio Audience Measurement Results. Malaysia, November 10, 2017 – In partnership with Commercial Radio Malaysia (CRM), GfK has released the second wave of the Radio Audience Measurement (RAM) 2017 results which indicated that over 19.71 million Malaysians tune in to radio for an average of 14 hours 30 minutes weekly. GfK’s Radio Audience Measurement (RAM) survey which was conducted over six weeks from the 16th July 2017 till 26th August 2017 sampled 6,000 unique individuals aged 10 years and above. GfK utilised 4,800 paper diaries and 1,200 e-diaries that provided valuable insights into the strength and scope of radio listening across Peninsular Malaysia. The RAM documented that the prime time windows that raked in the highest numbers were the breakfast shows (Monday to Friday, 6:00AM – 10:00AM) with 13.7 million listeners and drive time shows (Monday to Friday, 4:00PM – 8:00PM) with 14.1 million listeners. Night time shows (Monday to Friday, 8:00PM – 12:00 midnight) came in third, reaching out to 8.5 million listeners. There was growth in reach especially during weekend breakfast shows from 9.3 million to 9.6 million (45.1% to 46.8%) and weekend afternoon shows from 7.8 million to 8.1 million (38% to 39.5%) in comparison to the first wave earlier this year. For afternoon shows, listeners aged 10 to 19 years old and 20 to 29 years old have grown in reach number and time spent listening (TSL) to radio per week. During weekday afternoon shows, 10-19 years old have increased in reach with 2.25 million to 2.29 million (52.6% to 53.4%) and time spent listening to radio grew from 2 hours 33 minutes to 2 hours 42 minutes; while 20-29 years old listeners have grown with a reach of 2.12 million to 2.22 million (45.9% to 48%) and time spent listening to radio per week increased from 2 hours 57 minutes to 3 hours 4 minutes. Likewise, weekend afternoon shows saw increase in reach to the 10-19 years old with 1.7 million to 1.8 million (38.9% to 41%) and time spent listening to radio per week increased from 1 hour 27 minutes to 1 hour 30 minutes. The reach for 20-29 years old increased from 1.7 million to 1.9 million (36.9% to 40.1%) with spending time of 1 hours 38 minutes to 1 hour 40 minutes on radio. Apart from the GfK RAM research, GfK Radio Insights Malaysia is a yearly survey of radio behaviour in Peninsular Malaysia conducted among listeners aged 15 to 49 years with a sample size of 1,000. The 2017 Radio Insights report also found that some of the main reasons of listening to radio were to hear songs that were already known and enjoyed (88%), discover new songs which have never been heard of (55%) and to get the current news updates (45%). With that, the average hours spent in a week on radio is up to 11 hours, comparable to the number of hours spent on social media in a week. The number of hours provides a stark contrast to the average hours spent on the Internet (9 hours) and Pay TV (8 hours). By considering that all the advertisements that one could see and/or listen to in a day, the Radio Insights report detected that 25% of audience said that the source of the advertisements is from radio in comparison to TV (28%), Internet (24%), magazine and newspapers (12%), and outdoor (12%). This further implies that radio is the second highest valuable source of advertisements in the advertising role. 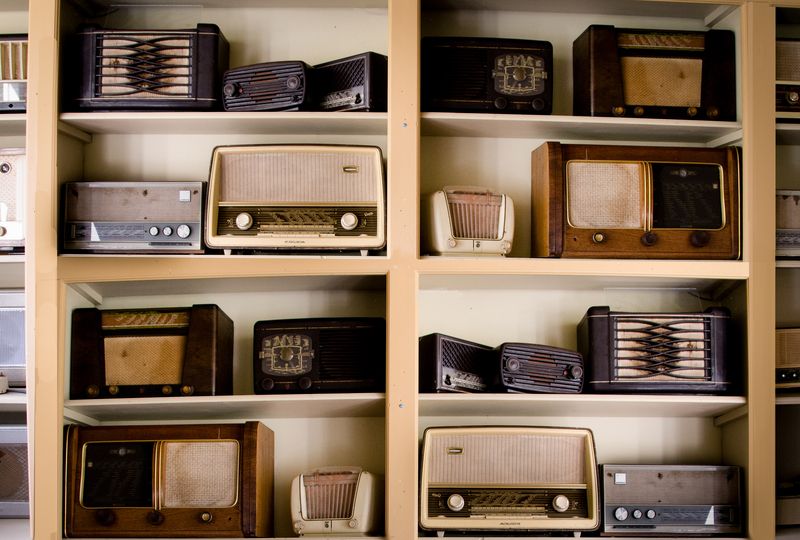 Playing an influential role in the advertising world, it comes to no surprise that 67% of the audience find that advertisements on the radio are memorable. 81% of the audience revealed that radio advertising makes the brand advertised more appealing, 73% say that radio advertising increases their trust in the advertised brands, while 65% trust a brand more if it is endorsed by their favourite radio presenter. Conversely, 70% claim that advertising on radio makes a brand seem more authentic, in addition to 68% stating that radio advertising makes them feel more loyal to the brands advertised. After hearing an advertisement on radio, 33% of listeners are made aware of a new brand or product, which then prompted 33% to search or research on the product or the brand. While 24% of listeners visited the advertiser’s website and store respectively, 25% of listeners considered buying the advertised product or service. With the burgeoning availability of social media channels, radio has been present in the bandwagon and has the highest social media engagement with 48% of the people reading or interacting (liked/followed/commented/shared) with a radio station’s/show’s/presenter’s social media page in comparison to other media such as TV (31%), newspapers (28%), and magazine (21%). Consequently, 30% of the people read or interact (comment/share) with a radio station’s/show’s/presenter’s social media page at a frequency of several times a week, compared to TV (21%), newspapers (19%) and magazine (6%). The Radio Insights report also affirms that 41% of people watched video content on the radio station’s/show’s/presenter’s Facebook page/Instagram/YouTube. Among the statistics are 26% of listeners visited or read a radio station’s/show’s/presenter’s Facebook page, as 33% of the listeners liked/followed a radio station/show/presenter on Facebook.